We've all been there - we're watching a YouTube tutorial on how to do a bomb smokey eye and then realize all the products being used add up to the down payment on a house. Now what?! I've come up with a list of my favorite products for under $20! But I gotchu, most of these are even under $10! The majority of these you can find at Target/Walmart, Ulta, and a couple you'll need to order online, but trust me when I say it's worth it! 1) $10 - No.7 Beautiful Skin Melting Gel Cleanser - the reason I love this cleanser so much is because it starts as a gel and turns in to a milk cleanser once you start rubbing it in to your skin. It does a great job of taking off makeup and gunk that's built up on your skin throughout the day! 2) $15 - No.7 Beautiful Skin Day Cream - They have several different formulas depending on what type of skin you have. These day creams have SPF 15 which is really important to remember in your skin care routine! SPF is SO SO important to prevent wrinkles and protect your skin! 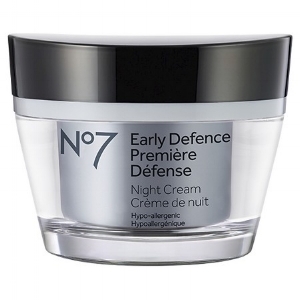 3) $21 - No.7 Early Defense Premiere Defense Night Cream - This product is meant to help protect youthful skin. I love night creams because your skin cells regenerate when you're sleeping. It also doesn't hurt to get a little extra moisture as the air gets colder and dryer! Again, depending on what your skincare needs are they have several different types of night creams to choose from. Sticking with the face let's move on to foundation! L'Oreal has a line called Infallible that a lot of people love! 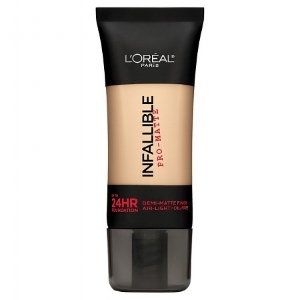 4) $13 - L'Oreal Infallible Pro-Glow Foundation - This formula is great for those of you who love that healthy glow! It's ideal for people who tend to have skin that's more on the dry side of the spectrum. 5) $13 - L'Oreal Infallible Pro-Matte 24HR Foundation - The matte formula would be ideal for those of you who get oily throughout the day. Once you have on your foundation you'll want to add some dimension back in to your face which is where your bronzers, highlighters, and blushes come in! 6) $9 - NYX Matte Bronzer - When you're looking for a bronzer you'll want to get something that's matte. If it has shimmer in it it's going to make you look weird, trust me on this one. 7) $15 - Benefit Hoola Matte Bronzer - If you're willing to spend a few more dollars, Benefit has a great bronzer! This shade works on most skin tones and goes on beautifully. You can find this at Ulta & Sephora. 8) $10 - Makeup Geek Blush - You have to order Makeup Geek products online, but trust me when I say it's worth the wait!! In my opinion, you won't be able to beat the price for the quality of products they provide. Think MAC, but half the price. 9) $7 - Maybelline Master Strobing Stick - Okay, I'm going to be honest and say I haven't actually used this product BUT I love cream highlighters and this one got great reviews. Creamy highlighters wear beautifully and have a more natural look vs a powder (in my opinion). I like to rub some on to my finger and then pat it in to the high points of my cheekbones. Moving along to the eyes! I'm incredibly picky when it comes to my eye products! I mean, the eyes are the window to the soul so they better look good! :P Ain't nobody got time to struggle with blending their shadows and crusty looking eyeliner. 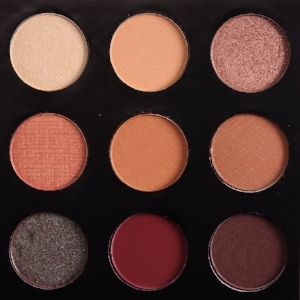 10) $6 - Makeup Geek Eyeshadow - YOU GUYS! These are my favorite eye shadows, hands down. They blend beautifully and are seriously pigmented. Remember when we were talking about those amazing blushes? Same brand. You truly cannot beat the price for the quality. 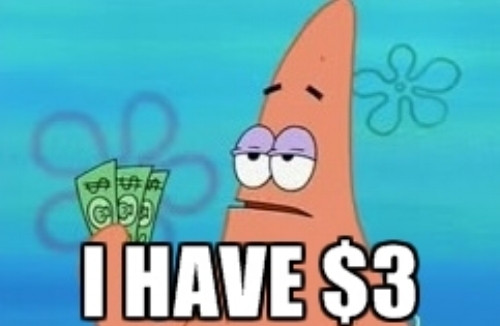 Just don't forget to order a Z-Palette with them. They comes as singles so you can create your own eye shadow palette. 11) $7 - Maybelline Eye Studio Lasting Drama Eyeliner - This is actually my first choice of eyeliner that I use on clients. It's smudgeproof, waterproof, and super black. The formula is nice n' creamy so it glides on nicely! 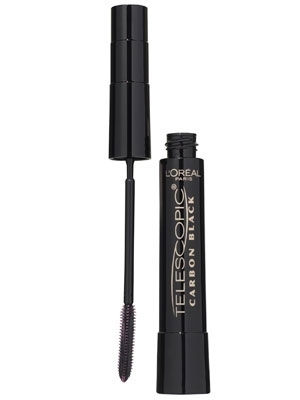 12) $10 - L'Oreal Telescopic Carbon Black Mascara - This is an oldie but a goodie for me! I've used this since high school and it's never done me wrong. Lipsticks can be tricky. Some people want matte lips, some people want hydrating lipsticks, some people only like lipgloss, so I chose NYX as my product of choice for this category. I really like all 3 of their formulas! BONUS! I'm going to do a separate blog post about brushes because there is a LOT to talk about but the tools you use to apply makeup makes a HUGE difference! 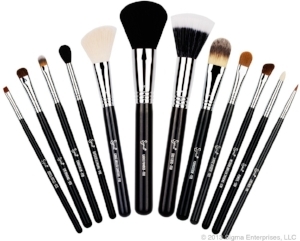 Relatively speaking, on a budget, Sigma & Real Techniques would be my go-to brands for the basics. I hope this brings back some hope that you can achieve beautiful makeup looks without totally breaking the bank! Don't let the YouTube beauty bloggers fool you in to thinking you need the latest and greatest, most of the time they're paid to promote those products anyways. If your makeup budget is a little bigger, I'll be doing another post soon about products that are more commonly found at places like Sephora or Nordstroms!